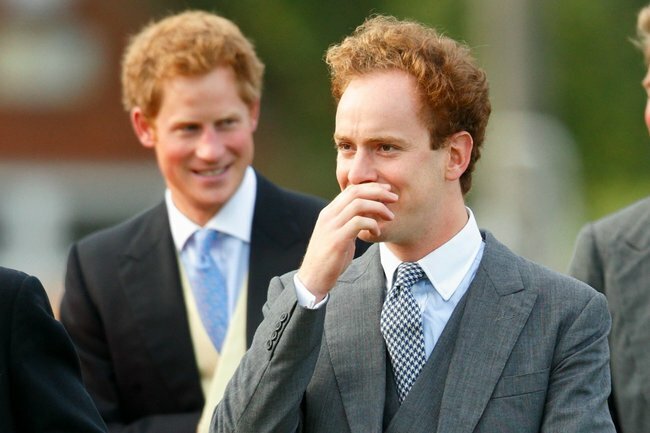 What we know about Tom Inskip, Prince Harry's "banished" best friend. What we know about Tom Inskip, Prince Harry's former best friend who has been "banished". The inner circle of the British royal family seems to be getting smaller by the day. First, we had reports of the Duchess of Cambridge’s falling out with her close friend Rose Hanbury. Now it’s believed Prince Harry has “banished” one of his best friends after he warned the prince not to marry Meghan Markle last May. Prince Harry is said to have “frozen out” many of his former posse since meeting Meghan. It was initially thought this was to distance himself from the party-living group and to avoid “temptation”, but the May issue of Tatler claimed, at least in regards to childhood friend Tom “Skippy” Inskip, it was because of their opinion on his wife. “Hang out with the Clooney/Beckham/Soho House set and be assailed for being too Hollywood, for forcing your hen-pecked husband to abandon his old, country-set muckers – including Tom ‘Skippy’ Inskip, the ultra-loyal, tight-lipped Harry pal, who, it’s said, advised Harry not to marry Meghan and has paid the price: banishment,” journalist David Jenkins wrote in his article reflecting on the Duchess of Sussex’s first year as a royal. The article also reiterated previous reports that Prince Harry’s brother Prince William advised him not to rush into marriage. Who is Tom ‘Skippy’ Inskip? Tom Inskip’s father is Owen Inskip, a close friend of Prince Charles and the field-master of his favourite hunt The Beaufort. Skippy and his sister Victoria have known Prince Harry and Prince William since childhood. 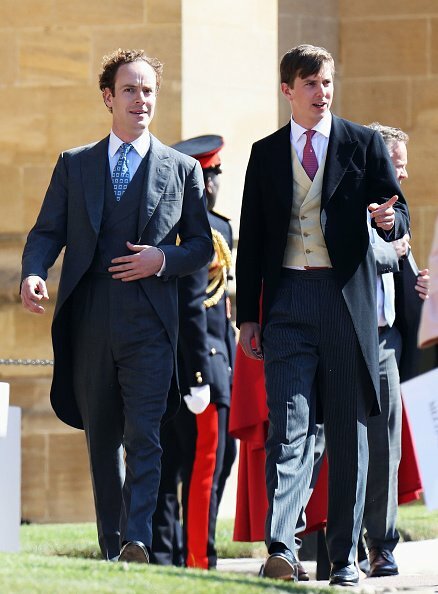 Tom Inskip (L) arrives for the wedding ceremony of Prince Harry and Meghan Markle. Image: Getty. Prince Harry and Skippy&apos;s friendship. Prince Harry and Skippy met at Eton College and have been close friends ever since - in fact, Skippy had previously been described as the prince&apos;s &apos;wingman&apos;. The pair also co-owned a racehorse called Usain Colt. They were together for many of the infamous events that took place during Prince Harry&apos;s &apos;wild&apos; years. They were together on Harry&apos;s trip to Croatia in August 2011, when they got drunk and were photographed jumping into a pool fully-clothed at a nightclub on the party island of Hvar. They were also together during a 2012 skiing trip where they were caught throwing snowballs at passers-by and a 2010 party where the Prince was caught inhaling nitrous oxide, a.k.a laughing gas. Skippy was one of the friends present during Prince Harry&apos;s infamous Las Vegas trip in 2012, where he was caught naked playing strip billiards with a group of women. Since then, both have been leading more laid back lives. In March 2017, Skippy married his partner of four years Lara Hughes-Young at a ceremony in Jamaica. Prince Harry was an usher at the wedding, which Meghan also attended as his guest. But it sounds like the friendship cooled a little in the year following this, as Jenkins&apos; article pointed out that Skippy was invited to Prince Harry and Meghan&apos;s royal wedding but, along with many of Harry&apos;s old friends, "he was edged out of the reception at Frogmore House in favour of big celebrities." The Beckhams, Elton John, James Cordon, Serena Williams, Priyanka Chopra and the Clooneys were reportedly among those invited to the &apos;small&apos; 250-people reception, while some of Prince Harry&apos;s closest friends were snubbed. Of course, Prince Harry has been very busy since his wedding, with royal tours, the ~honeymoon period~ and a royal baby on the way, so maybe he&apos;s just been short on time for his mates.